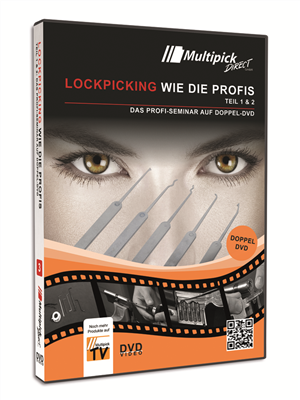 LOCKPICKING like the Professionals - the official training DVD from Multipick Direct shows you how you can quickly learn to manipulate lock cylinders. We all have to interact with locks several times a day - be it when we leave the house and lock the front door, or when we take a car to work. Normally we don't give it much thought, we just take the right key from our key ring and open the lock with it. But what if the right key isn’t available ...? Effectiveness and security - after this training seminar you will have acquired professional level knowledge! 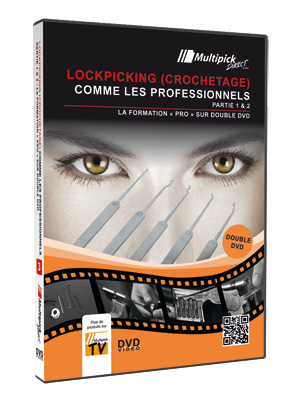 The DVD is completely in German or French but very easy to understand even without knowledge of the German language thanks to a concise illustration.